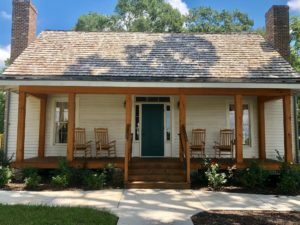 The Logan Farm House is a truly unique event space located in downtown Acworth GA. It’s 20 minutes from downtown Atlanta, but a world away in country charm. This historic building, circa 1850, represents the first settlers in the area. A major renovation was completed in early 2018 to convert the building into an intimate but ample event space while preserving it’s historic character.